By Wayne Beggs, Biodiversity Ranger in Akaroa. 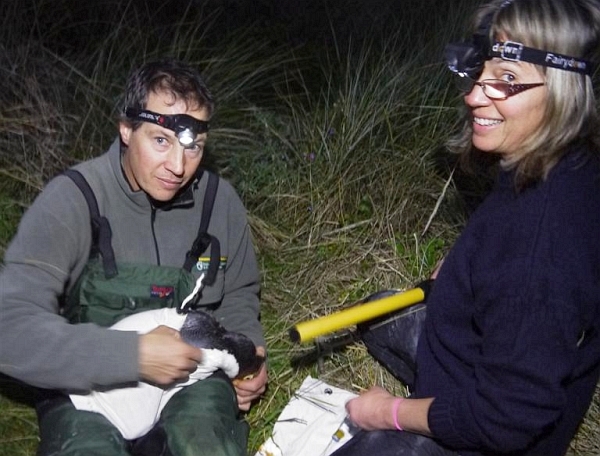 The yellow-eyed penguin work happening at Banks Peninsula in Canterbury is a real team effort! We’re fortunate to have some passionate farmers, Mark Armstrong and Francis Helps, who love the local wildlife and who have been the driving force behind protecting the penguins on Banks Peninsula. They had grown up with penguins and were used to seeing them around and they became very concerned when numbers started to seriously decline in the nineties. Mark and Francis didn’t muck around and bought their own predator traps to try and control the ferrets, stoats and feral cats that were decimating the local little blue and yellow-eyed penguin colonies. Mark and Francis soon realised that they needed some help and sought support from the local DOC rangers. 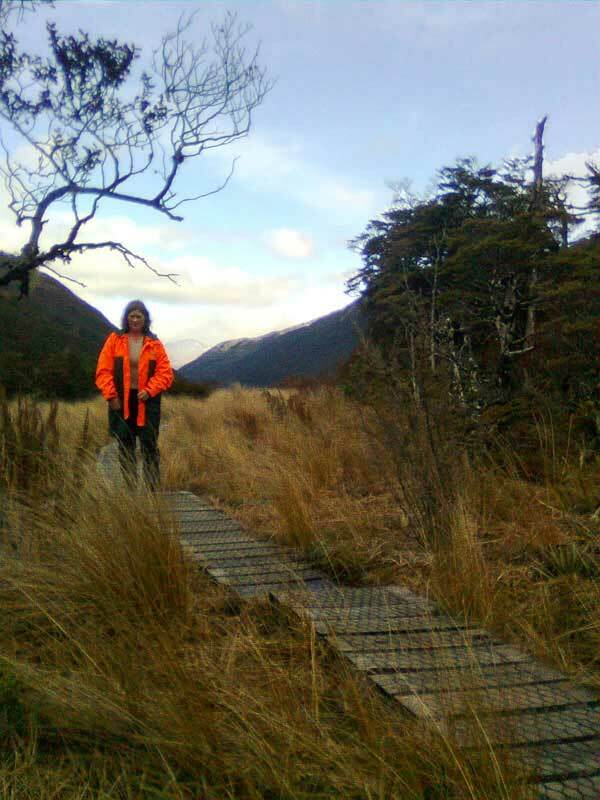 DOC ranger Robin Burleigh stepped in and added additional trap lines as well as assisting with monitoring the penguins. 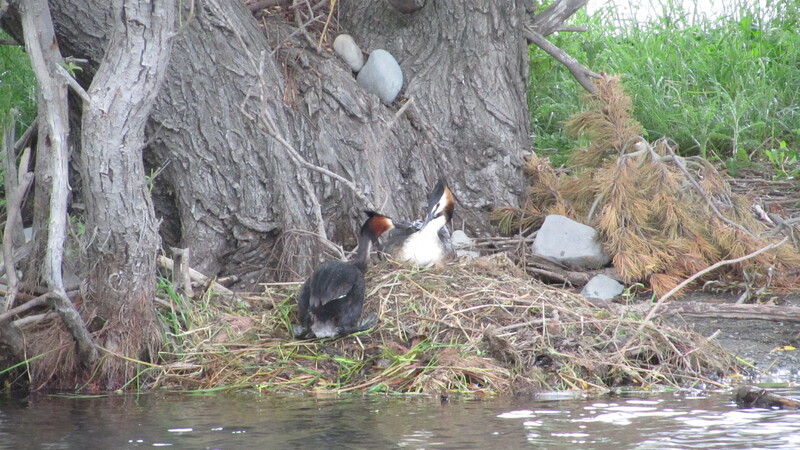 In more recent years Environment Canterbury and the Christchurch City Council have contributed to the trapping and monitoring effort and penguins number have boomed. Pōhatu is now home to the largest mainland little blue penguin colony (over 1200 pairs last count) in New Zealand and yellow-eyed penguin numbers are starting to creep back up. 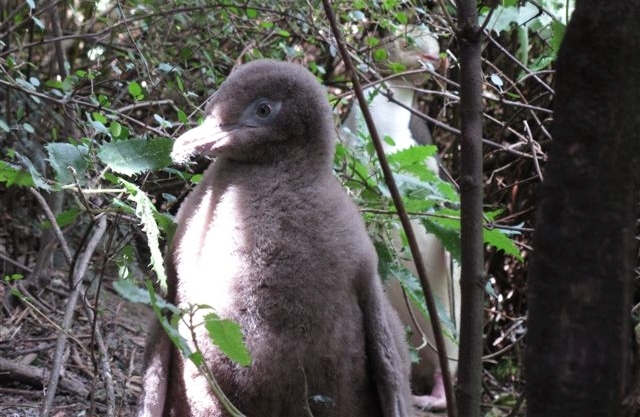 A local vet, Susan Shannon, has volunteered her time to help with nest searching, mico-chipping penguin fledglings and providing emergency care for injured or sick penguins. There are also two passionate volunteers, Thomas and Kristina, who really love penguins and put a lot of time and effort into caring for under weight, sick and injured penguins. It’s thanks to the fantastic effort of all these people and organisations that the penguins on Banks Peninsula have a bright future. 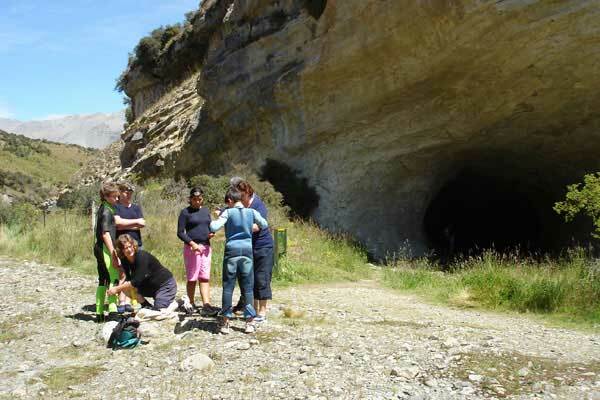 Arthur’s Pass recently celebrated 150 years since the European opening of the route that linked the east coast to the gold fields in the west. 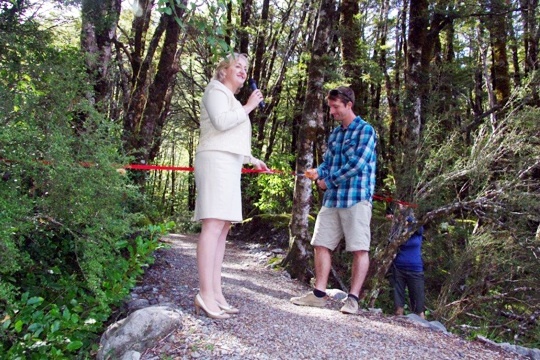 The official opening the new Arthur’s Pass Walking Track was one of the events that marked the occasion. 150 years ago today (or thereabouts), in a time when an ‘epic’ was just a part of everyday life, the Dobson brothers stumbled across a pass linking the east coast to the gold fields in the west. That pass was Arthur’s Pass. 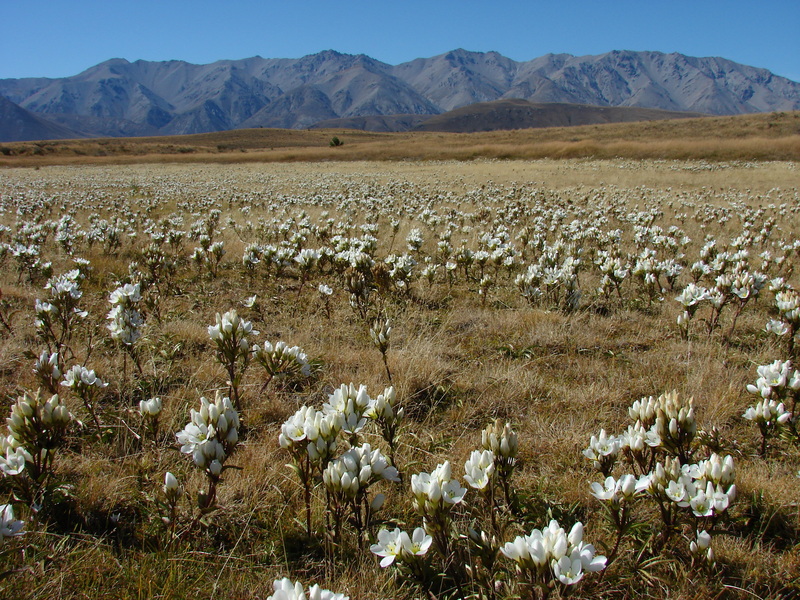 Legend has it that Arthur’s Pass isn’t named after Arthur Dudley Dobson as such, but rather that someone remarked that Arthur’s pass was the most suitable pass for direct travel to the west. Celebrations of this feat of discovery occurred over the weekend and resulted in the population of the pass swelling by over 400%. Festivities commenced on the Friday night with the unveiling of a bronze kea statue. As we unveiled the taonga, a member of the audience did a sterling haka, and a real kea flew over us. Arthur’s Pass is one of the best places in New Zealand to see these amazing birds. 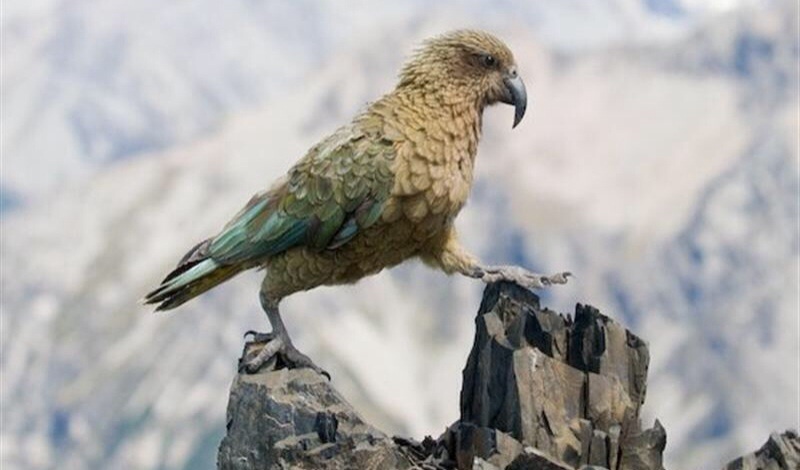 Arthur’s Pass is one of the best places in New Zealand to see kea. 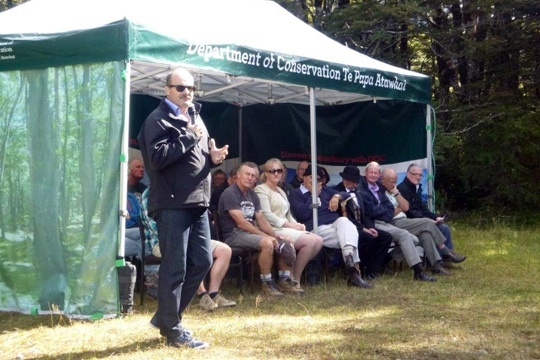 In typical Arthur’s Pass fashion, the main attraction—the official opening of the Arthur’s Pass walking track—was accompanied by clear skies and warm weather. The creation of the new track, however, was no easy feat. DOC staff, and the contractors constructing the track, had to cope with the extremes of local weather. So far the track has coped with many deluges of rain, gale force winds, blistering sun, a minus 17 degree frost, and a 2 metre snow dump! For those travelling to other places through the Pass, the route travelled has changed significantly from what it was 150 years ago. Back then the journey took a long time. Once the coach road was constructed (can you believe that they managed to build the road from east to west in one year!) the journey was reduced to four days. Today it is a pleasant two hours to Christchurch, or one hour to the West Coast. 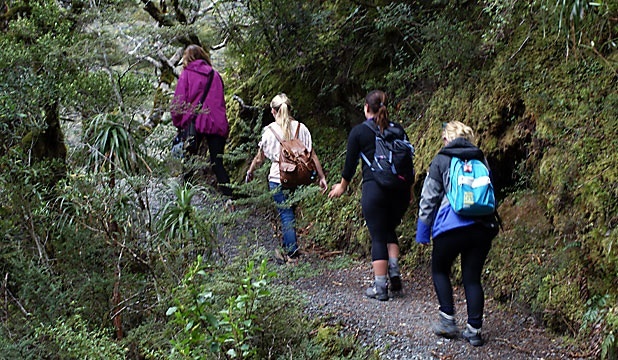 Discover the heritage and fantastic scenery of the Arthur’s Pass walking track yourself. Further information and directions can be found on the DOC website. 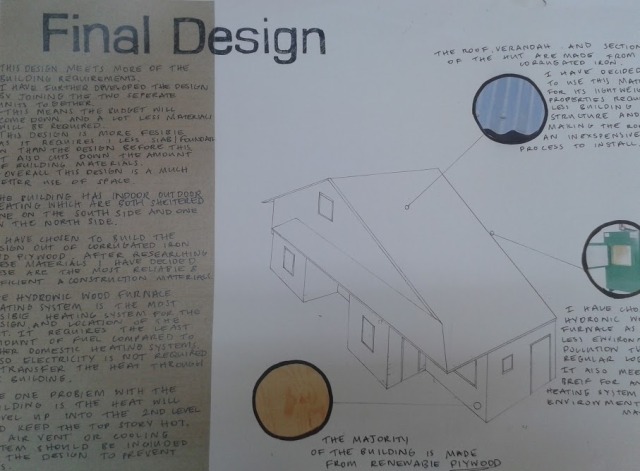 A fresh look at the humble backcountry hut by Year 12 students at Rangiora High School has brought forward all kinds of new ideas and concepts for consideration. 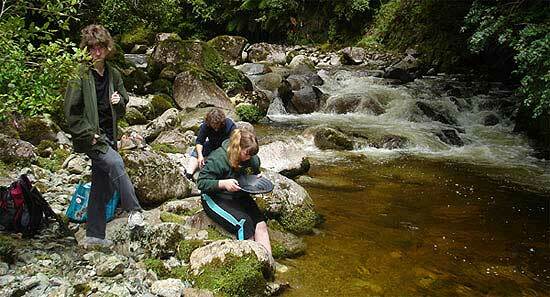 Throughout 2013 DOC Ranger, Jeff Dalley, has been working with visual communications and design students in Rangiora to design a new hut for the St James Cycle Trail, a 64 kilometre track through stunning scenery of mountain peaks, crystal clear rivers, high-country lakes, alpine meadows, sub-alpine beech forest, and expansive grassy river flats. 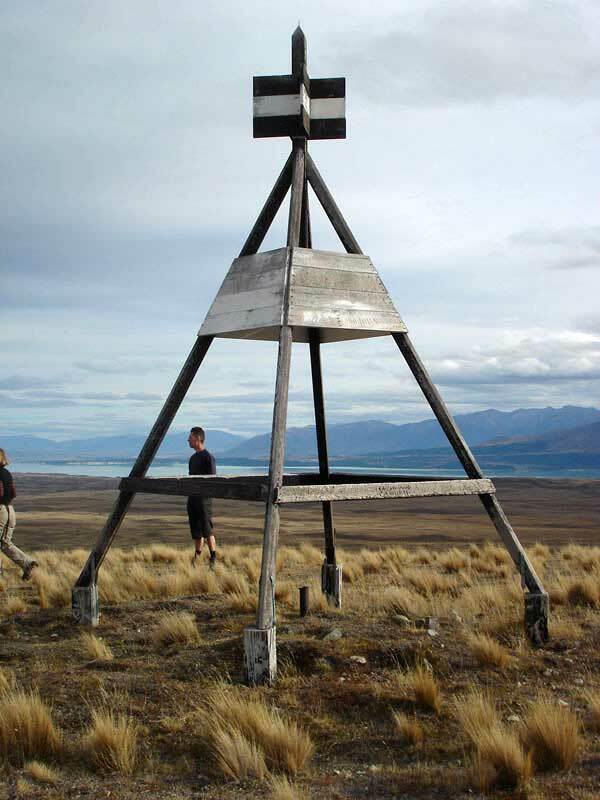 A prescriptive Standard Operating Procedure for hut design in the backcountry means new ideas and designs are rarely considered, but the project at Rangiora High School was a great way to think of new and creative approaches to building these shelters. The idea was the brainchild of teacher, Carey Prebble, who contacted DOC. Fortuitously a new hut was being considered and DOC staff were keen to collaborate. 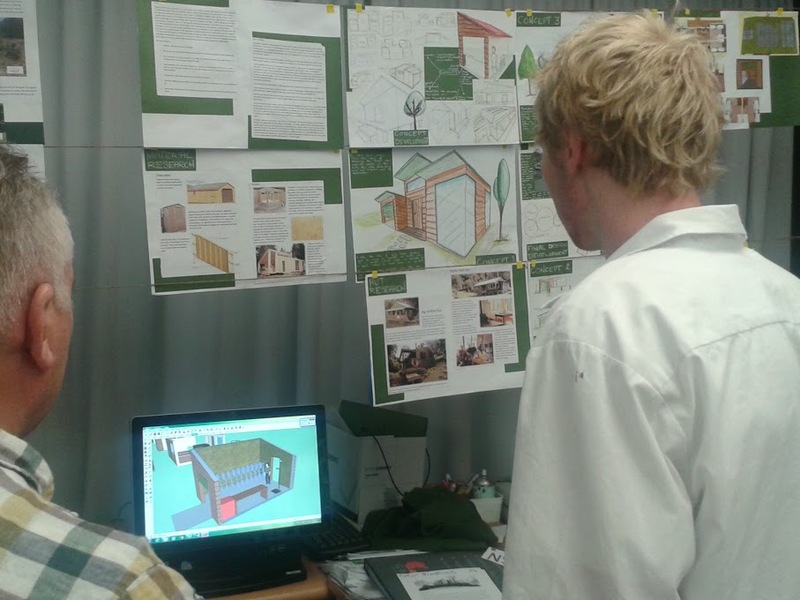 The students were given a very specific and comprehensive design brief which would have been exactly what would have been provided to any architect. The hut design, for 12 people and their bikes, and had to cater to various constraints, including cost, materials, weight and construction complexity. Many of the students had fond memories of staying in DOC huts and wanted to ensure their designs would be attractive and comfortable for future visitors. 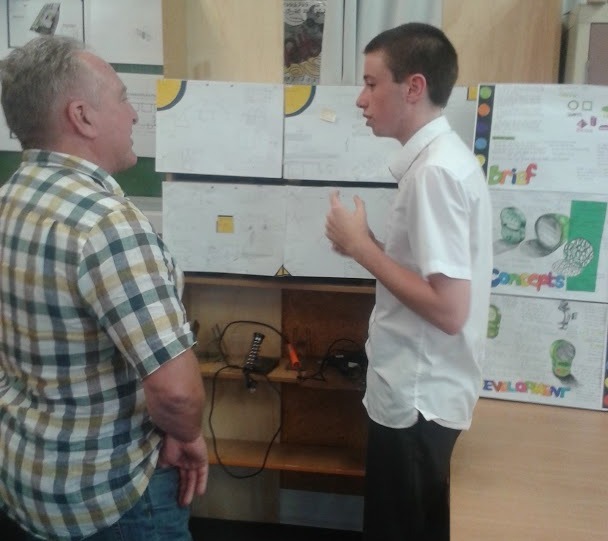 DOC staff were impressed with the students’ work, they were truly creative and many of the innovations designed by the students could be immediately incorporated in any final design. 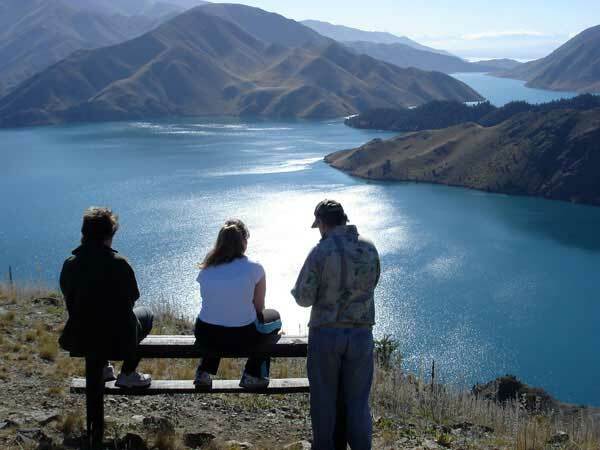 John Robinson who took this picture while mountain biking beside Lake Hāwea, in Hāwea Conservation Park, Otago. Position:Transitioning! 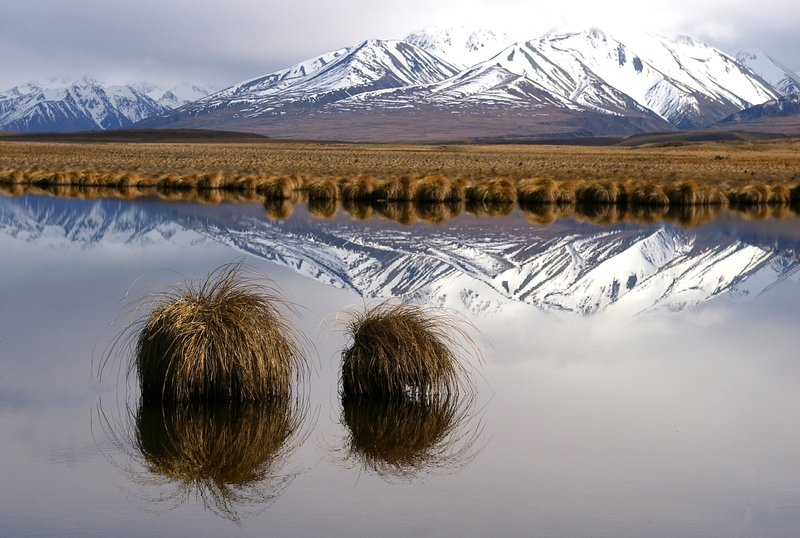 Currently acting Permissions/Statutory Land Management (SLM) Supervisor Canterbury Conservancy since this February, high country tenure review officer for the previous seven years, and very shortly to become a Christchurch shared service SLM advisor. 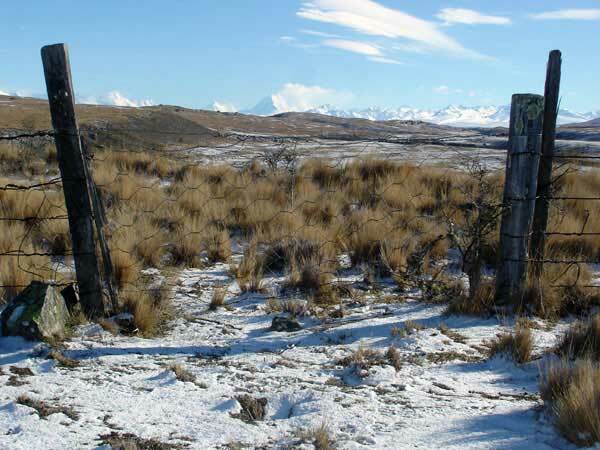 My tenure review role involved a lot of document drafting for proposals on high country pastoral leases, report and document editing, and implementing archaeological assessments on pastoral leases throughout Canterbury. My current role involves the day to day running of the Canterbury Permissions/SLM team while the newly appointed manager focuses on transitioning to Shared Services. My new role will involve all the statutory land management tasks involved with land disposals and acquisitions, land status investigation, and providing advice to others in the department on this. Over recent years it has been the opportunities to research and discover potential historic/archaeological sites and then to actually get out in the high country with a 4WD and archaeologist and actually find them! Convincing others of the processes involved and why things sometimes take a long time to happen. Making the most of opportunities that become present along the road of life. The lack of any significant earthquakes happening! Historic research and site discovery! Taking the Toyota Hilux 4WD out in the high country associated with the above. Family (most of the time—teenagers are rather hit and miss at times!) and following their sports and music successes. People leaving the television on when no-one is in the room. Mum’s home baking—worth watching the rugby at Mum’s just for the baking! Roast potatoes, my daughters favourite. St James Station. High country/historic/scenery (and 4WDing for work trips) all mixed in together. West Coast walks. 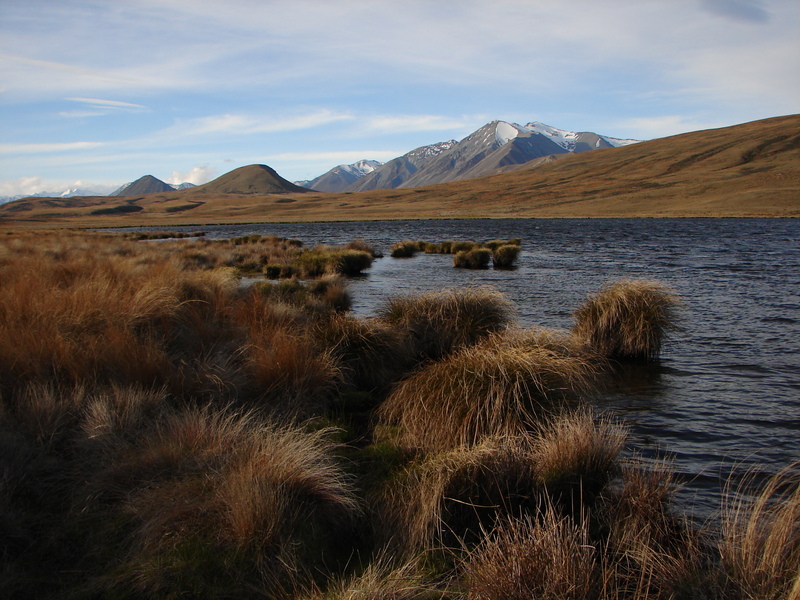 Charming Creek, Lyell Walkway and Denniston Plateau area in particular. Again the mix of really neat historic things, fantastic scenery and really interesting walks. Arthur’s Pass. After my couple of months working there last year the enthusiasm of the terrific visitor centre staff there have me sold on the area! Book. Usually whatever I happen to be reading at the time—presently “Caught Mapping” which has wonderful stories of the early surveyors in the 1800’s who mapped our country. I also enjoy a good Jodi Picoult or Lee Child as well though. Movie. The Lake House has been a favourite, but also Avatar and Inception have been a few that rated highly (in the days when the kids would let us go to the movies with them!). Album. 30ish years ago it would have definitely been Abba or Bee Gees—these days normally whatever someone else has playing. Make the most of any opportunities that come along (though I probably knew that by then) and to take life as it comes—you never know what will come along next! Probably my parents, for all the community activities they have always been involved with. It’s not until you are there yourself, trying to keep up with your own family and community activities that you really appreciate all your parents really did and are still doing. A primary school teacher, then later in high school, a surveyor. Surveying would actually still be a good alternative, although historic/archaeological work would be really high on the list, plus legal work would also be attractive (I’m currently studying for a Legal Executive Diploma). Real life gold panning on the West Coast—I’m glad the objective was a quiet picnic by the river than actually making our fortune in gold! Turning off lights and appliances if they are not being used. Training the rest of the family to turn off lights and appliances if they are not being used! Work is actually pretty good with green behaviour. A NZ falcon appeals, soaring above the high country tussocks. Go out and enjoy the wonderful walks/scenery/tramps/activities available on conservation land so you can learn to appreciate the value in looking after it for future generations.